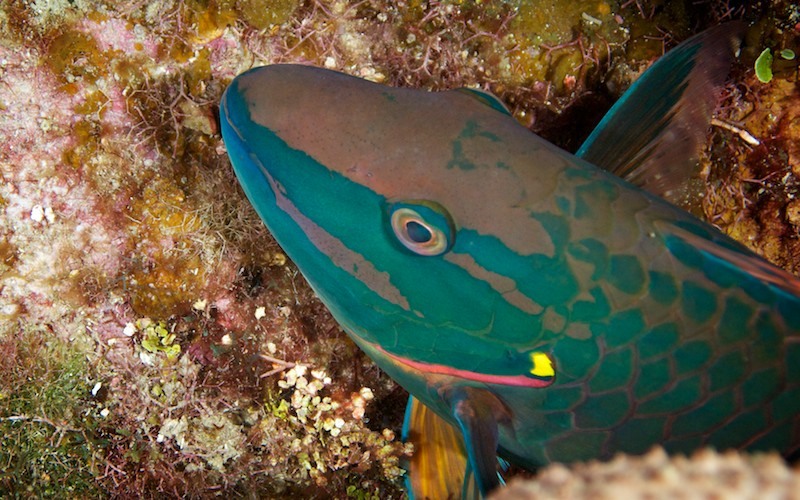 Caption: Parrotfishes are a group of fishes that traditionally has been considered a family (Scaridae), but now often are considered a subfamily (Scarinae) of the wrasses. They are found in relatively shallow tropical and subtropical oceans throughout the world, but with the largest species richness in the Indo-Pacific. The approximately 90 species are found in coral reefs, rocky coasts and seagrass beds, and play a significant role in bioerosion.